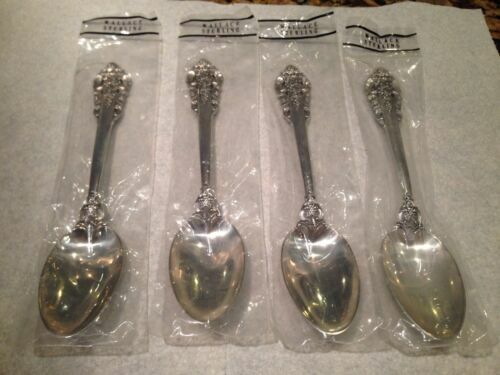 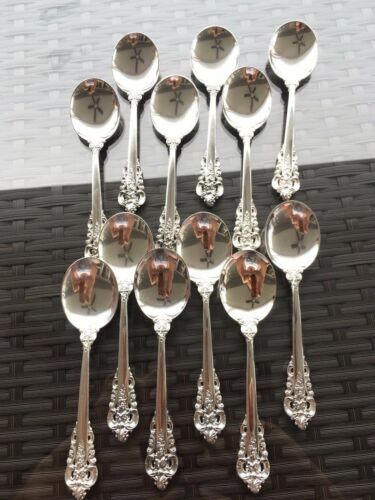 $1.25 (2 bids) Set of 6 Wallace Grande Baroque Sterling Silver Dinner Knives Knife 9 "
$31.0 (7 bids) Grande Baroque by Wallace Sterling Teaspoons, Lot of 4 6.5"
$200.0 Set of 8 Wallace Grande Baroque Sterling Silver True Dinner Knives Knife 9 3/4"
$45.0 (1 bid) GRANDE BAROQUE STERLING SILVER INDIVIDUAL FISH KNIFE-FINEST 1941 WALLACE!! 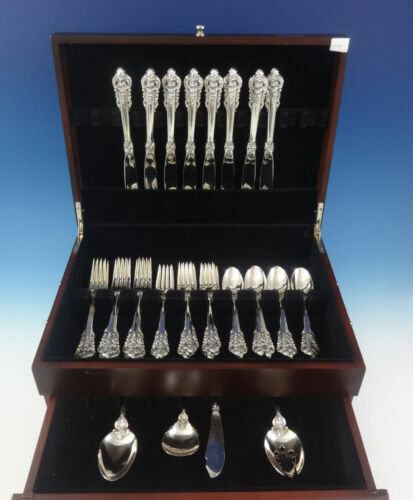 $2750.0 VINTAGE WALLACE STERLING SILVER GRAND BAROQUE FLATWARE SERVICE FOR 12~78 PIECES! 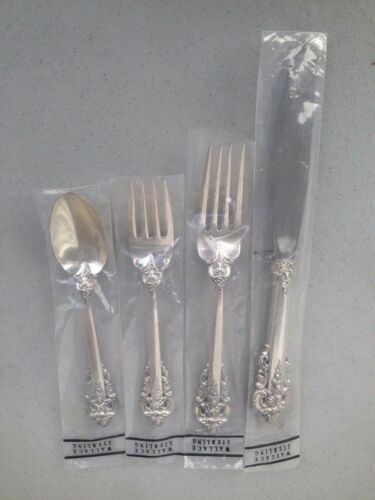 $20.0 (1 bid) WALLACE STERLING SILVER GRANDE BAROQUE PICKLE / OLIVE FORK 5 1/2"
$210.0 6 Vintage Wallace Grande Baroque Sterling Silver 9 3/4" Table Knives!